Dimensions: H12.4 x L13 x W9 cm approx. 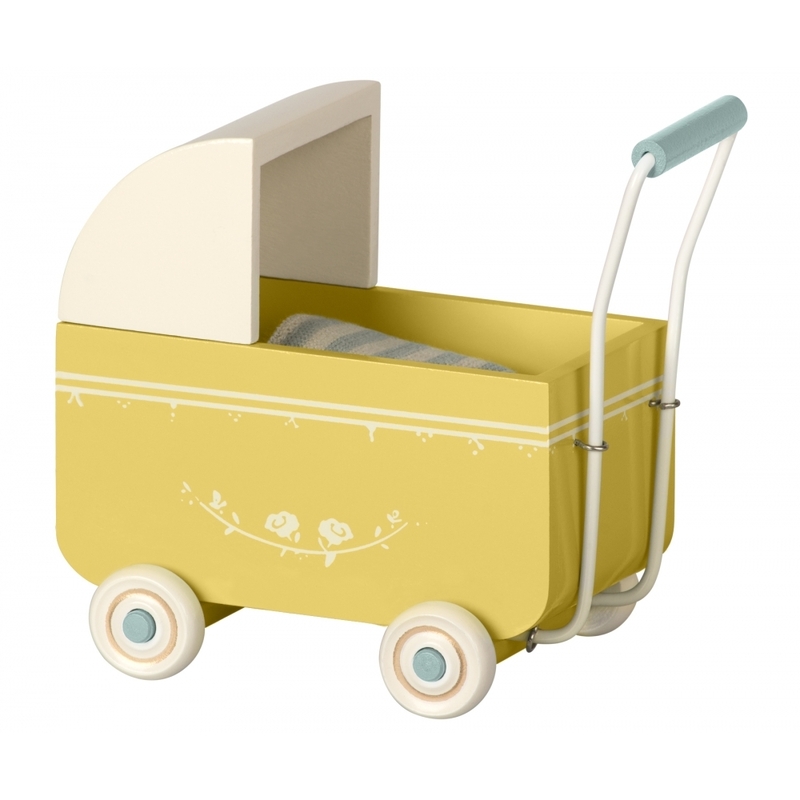 This beautiful Maileg Yellow Miniature Pram is made from painted wood with flower details and has a hood. The pram includes striped bedding inside and is designed for Maileg baby bunnies or mice. This Maileg toy is made with love and care to the highest standards. A unique blend of modern Scandinavian design and nostalgic storybook whimsy, it will bring a touch of childhood magic, helping little ones to enjoy imaginative play. Sure to be cherished, the timeless Maileg toy is designed to be handed down for generations.